Online shopping is now more accessible than ever, with thousands of e-stores offering their merchandise to customers who with each and every purchase get harder to please. Spoilt for choice, clients expect nothing less than perfection and oftentimes end up disappointed. Convenience factor of shopping online discarded, they get some moderately accurate images of the product together with an unconvincing catchphrase. Still, times are a-changin. The rise of 3D technology is poised to drive a revolution in e-commerce, affecting both customers and retailers. The Entrepreneur talks with Kosta Popov, CEO and Founder of Cappasity, company that created a unique platform which allows businesses to implement 3D technologies, about the burgeoning role of 3D in e-commerce in general and in fashion online shopping in particular. Why is 3D product imaging boosting e-commerce? Online shopping often proves to be a lackluster experience with unoriginal 2D visualization and no customer-interaction whatsoever. With 3D imaging, a retailer can provide customers with a graphical 3D product representation that is also interactive. Not to forget that comprehending 3D is an innate human ability while 2D is counterintuitive and needs to be learned. With a 3D model, a customer gets to choose what part of the object they'd like to see. Zoom in or out? Rotate the object? Spin it? View it in motion? All these features are easily accessible thanks to 3D imaging. According to the 3D imaging market research conducted by Cappasity, 82% of visitors to the product page activate the 3D view, and 95% of respondents prefer an interactive 3D representation to video playback. So, it does not come out as a surprise that 3D product imaging allows enterprises to increase the conversion by up to 30%! The fashion industry is showing a keen interest in 3D technology. How can you explain this? Fashion e-stores face stiff competition online. What’s more, online shopping is dramatically different from the in-store experience because it’s really hard to bring the emotions and engagement to digital, especially if we talk about luxury products. Thankfully, now there is a solution. 3D product imaging makes online shopping interactive and close to the in-store experience which, as I’ve already mentioned, increases sales by more than 30%. Here, at Cappasity, we have also dealt with 3 major stumbling blocks of current 3D imaging solutions for e-commerce: they do not work for large catalogs, are too time-consuming, require a lot of specific equipment. Our solution allows retailers to shoot thousands of products in 3D every day, creates a 3D in just two minutes and runs on regular photo equipment already existing in the retailers’ photo studios. And that’s not all! The same content embedded into fashion e-commerce website can be used with AR/VR devices. From large, luxury goods conglomerates to small niche e-stores fashion e-commerce representatives are all vying for shoppers’ attention with the best 3D technology they can get their hands on. 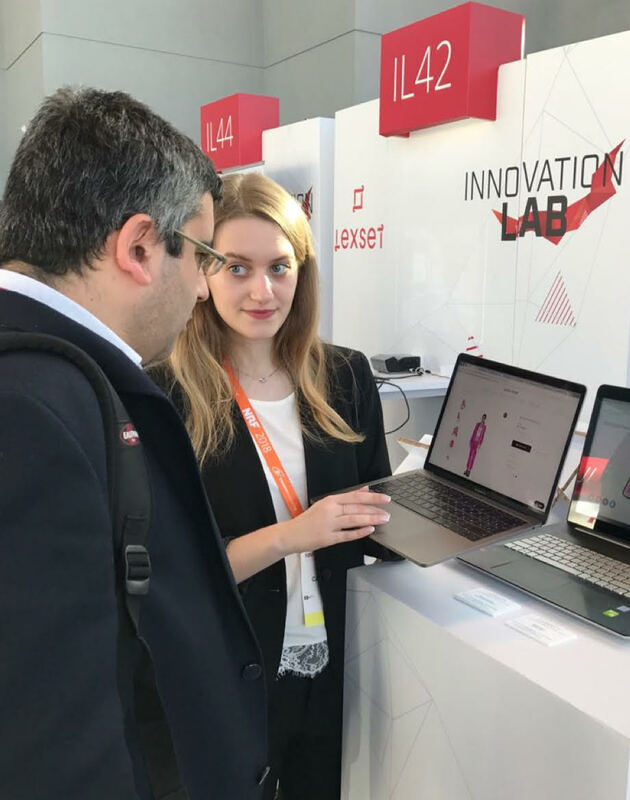 Actually, several months ago Cappasity was the only U.S. company to be chosen to participate in the new LVMH accelerator program – La Maison des Startups. The new program, based at the world’s largest startup campus Station F located in Paris, is aimed at establishing fruitful cooperation and driving business acceleration between LVMH’s Maisons and startups to bring innovative products and services into the luxury goods industry. Could you cite any examples of 3D in fashion e-commerce? Sure, there are a lot to choose from. TSUM, for instance, is one of the largest luxury goods department stores in Eastern Europe, also in possession of one of the biggest 3D product images databases in the world (more than 30,000 SKUs), with the help of our 3D content production platform managed to increase conversion rate by almost 40% for products in Shoes and Bags categories. Not only does our technology allow customers to see the static object from all angles, but to also view the object in motion: the rotation of the model clearly demonstrates how the fabric accentuates the body, whether it flows, catches light or sparkles. This technology is successfully used by one of the most recognizable designers in Latin America, Jazmín Chebar, who creates chic womenswear. What types of products, aside from clothes and accessories, can be visualized in 3D? Everything. Anything. Objects that remain out of reach for traditional 3D technologies, such as 3D modeling and 3D scanning, which for the luxury segment are now obsolete, by the way, are now no obstacle to 3D product imaging. Color black, shiny and glossy objects like silks, leathers and jewelry items, anything transparent, unusually shaped or textured… basically the lion’s share of the luxury segment is fair play for 3D product imaging. For example, for American Greetings, the world’s largest greeting card producer, a creator and manufacturer of innovative social expression products and the leader in e-greetings, 3D product imaging has opened new horizons. Cappasity technology bridged an important gap in online greeting card merchandising: product features frequently present on greeting cards such as glitter, foil, embossing, and other attachments can be difficult to appreciate with traditional, flat photography. Our solution reconstructed the in-store browsing experience to online retail, allowing the customers to examine each card, inside and out, and get a true feel for the quality craftsmanship of the item. What is the process behind the creation of 3D product images? Creation of a 3D product image is a simple 3-step process. First of all, you have to shoot the chosen object with a digital camera. You will need to record a video of the object rotating around its axis. If you know how to take pictures on a white background and you have a turntable or plan on buying one, you can do it yourself. Turntable will keep the object rotating, while the camera remains static on a tripod. Once the video is ready, upload it to the software and have a 3D product image ready in just 2 minutes, – that’s the second step. For the third and final step you’ll need to upload the 3D product image to your account on a special Cappasity platform and embed into anything you wish, be it website, mobile or AR/VR application. That’s it! It’s really quite simple, isn’t it? You described the visualizing process for a single item. But what if a retailer has thousands of SKUs? Our solution allows retailers to shoot thousands of products in 3D every day, with each item taking no longer than 2 minutes. In fact, we offer the first scalable solution for 3D imaging, which is 10 times faster in 3D production with any digital camera. For processing large numbers of images at the same time the Cappasity software has a “Batch” feature. What’s more, thanks to the platform infrastructure the speed of data transmission is very high and the client website is not weighted down with the Cappasity platform shouldering the load, as not a single modicum of data actually gets to the website, going straight to the customer. Also, the average size of the downloaded piece of data is 5 MB, which is little more than nothing. What could 3D technologies give to Digital Signage? We are about to launch a new 3D product imaging software for Digital Signage, that would allow customers to interact with goods the way they do it in physical stores, making their shopping experience more interactive. Browsing the goods which are not available at stores, getting a purchase code and ordering home delivery – any scenarios are possible! Retailers will be satisfied as well, as they’ll be able to fuel better customer interactions and omnichannel experiences. Now, 3D product imaging will be used not just for e-commerce, but for brick-and-mortar stores as well. Is it possible to evaluate the effect that 3D product images have on consumer behavior? It is indeed possible, Cappasity has an AI-based 3D analytical tool for 3D imaging, that helps retailers to understand potential customer behavior and preferences. Cappasity.AI tracks the way potential customers interact with 3D images of products embedded into retailers’ websites and presents the most important metrics via a heat map. The map shows dwell time, points of customer interest, the best angles for thumbnail product positioning – metrics that provide valuable insight to effectively manage products and assortment and boost sales. Recently, with the help of Cappasity.AI and Q&A sessions with online shoppers and business owners we conducted a 3D imaging market research and found the answers to some very interesting questions. What are the key factors for retailers looking for a 3D solution? What are the most important features for 3D shopping experience? The answers to these questions and more useful data became available thanks to Cappasity.AI. With the insights gathered by our AI tool retailers will be able to improve content visualization and product design, choose the most pleasing color combinations among products and highlight the bestsellers. The accumulated data could be invaluable… For instance, let’s say 200,000 customers, while examining a certain item, zoomed in to see the zipper, – to a marketing team comfortable with making smart and quick conclusions this piece of information could prove decisive. Here, opportunities for analisis are endless, the sky’s really the limit!